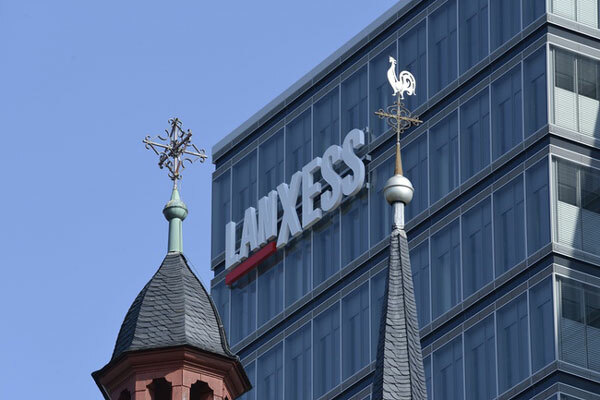 Specialty chemicals company Lanxess said it has commissioned a new production line at its Mannheim site in Germany for the synthesis of dimercaptothiadiazole (DMTD) derivatives. These chemicals are added to lubricants as multifunctional additives. The production line, which started in May, doubles the annual production capacity of these specialty additives, said a statement from Lanxess. The investment volume is in the single-digit-million-euro range, it said. “The new plant will enable us to meet their requirements for high-quality lubricant additives, but also helps us acquire new customers, and further develop our own package solutions for a rapidly growing market,” he said. DMTD derivatives are multifunctional additives, and are initially used as corrosion protection for lubricants in contact with steel alloys containing so-called nonferrous metals such as copper, nickel or cobalt, it added. The derivatives prevent the leaching of nonferrous metal ions from the alloy, protect the metal surface from aggressive chemicals, and thus guarantee the integrity and longevity of steel alloys. Thanks to their metal-surface bond, they also act as lubricants, even when under extreme conditions and high pressures metal surfaces start contacting each other. Therefore, and in addition to their function – that is, to provide protection against corrosion, they are also referred to as extreme pressure additives, said the statement. Additionally, these additives interact with and absorb aggressive chemical breakdown products in the lubricant, which could otherwise cause material damage in the long term. The main areas of application for these versatile products are industrial oils, greases, and metalworking fluids. Under the Additin brand name, ADD supplies customers worldwide with DMTD derivatives, which are also used in additive packages at Lanxess. Due to a special manufacturing process used to reach the optimal composition, their performance is both excellent and consistent.